Home prices fell in eight of 11 major Canadian real estate markets in February as more weakness crept into the real estate market, according to figures released Thursday. The Teranet-National Bank national composite house price index rose by 0.1 per cent last month. 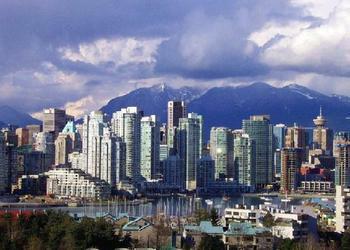 But that was largely because of strength in the Vancouver market, where prices gained 1.5 per cent from January. Prices also rose month-over-month in Victoria (0.5 per cent) and Hamilton (up 0.3 per cent). But in eight other markets, prices fell from the month before — and that downward trend is becoming increasingly evident in some markets. According to an article from Macleans, we're screwed - if the housing bubble finally pops. There’s been a lot of focus on the oil crash that began last June, and debate about what kind of impact it will have on the Canadian economy. But Canadians should put aside what they might think about the importance of oil prices to the economy. Because, for all the talk of Canada being an energy superpower, we’ve clearly shown that our greater strength lies in buying, selling, renovating and renting houses and condominiums. The economy certainly relies more on what gets built above ground than what lies beneath. Back in the 1990s, the manufacturing and energy industries were larger than the real estate sector, but, over the years, they’ve changed places. Read full story here. According to Business in Vancouver, buying raw land on the fringe of Prince George is among the best real estate buys in British Columbia, according to Rudy Nielson, president of Niho Land & Cattle Co. and the largest private landowner in the province. "Prince George has it all. It is a hub city for the province," Nielson said following an address to the annual Jurock Land Rush conference in Vancouver.Nielson, who also owns Landcor Data Corp., the biggest real estate data collection company in B.C., said the expansion of the Prince George airport and upgrading of rail lines to northcoast B.C. container port at Prince Rupert has made the northern city a key container terminal in North America. He noted a 320-acre development near the airport is designed to handle only container traffic. "The whole world is going to containers and Prince George has planned for that," Nielson said. He added that the northern city will remain the central service centre for B.C. 's liquefied natural gas industry and its strengthening forestry sector. The latter, he said, is the most important economic driver in the north. "A lower Canadian dollar and a rise in U.S. homebuilding will keep northern sawmills booming this year," Nielson said.